HELP-we have a doe french lop rabbit 18 month old, we recently got another one a buck, they both got out at the same time and he may of got to her. She has never had a litter and I'm concerned that it may be dangerous for her to have a first litter so late. as I've been told first litter should be before 1 yr old. Any advice or comment about this would be gratefully received, if any one should know if the chances of her having a difficult birth are high? Thanks for asking, Pat. The short answer is - no worries. The chance of a difficult birth are not automatically high. The more detailed answer is: Yeah, we suspect that litters prior to 1 year are fractionally easier. 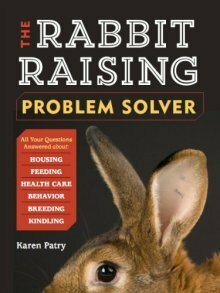 But like people, rabbits are each genetically unique, and who's to say that your doe won't excel as a first-time mum, 18 months or no? Secondly, french lops are big rabbits. While I have no statistics on breeds with better or worse track records, our impression is that bigger breeds may have an easier time kindling their litters. I'm assuming you've marked day 28 and day 31 on your calendar from the date of the, er, possible tryst. Extra worry is probably not warranted. Just ensure the doe has what she needs when she needs it, just in case, and let us know how it goes, okay?? I raise Flemish Giants and do not breed till they are about 10 months and sometime 1 yr. My light gray doe just had her first litter and I think letting her get a little older helped her be a great mom. Will additional breeders of the large breeds please comment, and thanks.